I've tried several on-scalp bleaches—many of them considered the "Cadillac" of bleaches. I always felt so much excitement and had high hope before trying a new one. If you are a dark base like me and you lighten your hair, you know the importance of a gentle bleach. Color does not lift color, so you must "double process" it. A double process is bleaching your hair with a lightener mixed with the proper developer and then toning to get the desired shade. The best on-scalp lightener I've tried is the Joico Creme Lightener. Some colorists might disagree, but this is the best product for monthly root touch-ups. If used correctly, it doesn't cause breakage. I'm a hair snob. I don't normally purchase hair products from shopping mall hair salons or products that everyone uses, so I wasn't sure what to think when I purchased the Joico lightener. To be honest, I'm not a huge fan of their haircare line. It's available everywhere, and, truthfully, it's a bit overexposed. But I cannot praise their creme bleach highly enough. From my experience, this is the absolute gold standard of on-scalp bleaches. It's really creamy. This is very important because it doesn't dry out on your scalp. Once a bleach dries out, it stops working. When it stops working, it stops lifting. And when it stops lifting before it has time to fully develop, you are left with orange, brassy, and yellow hair/roots. It's not overly harsh, yet it lifts up to 8 levels. It maintains the integrity of your hair, which means there is less breakage. I let the mixture sit on my scalp for 45-60 minutes. 35 minutes into the process, I put a plastic cap over my scalp. This was the only heat source. Because of all of the oils in this bleach, it did not dry out on my scalp, which means it kept developing for nearly the whole hour. Some commenters online find this product hard to rinse out. I didn't find this to be the case. The lift came out to be a very crystal clean, clear lift with absolutely no orange or yellow. Best of all, there was no breakage, and my hair was left in perfect condition. This is a great video to show you the results of the Joico on-scalp bleach. It's bright! 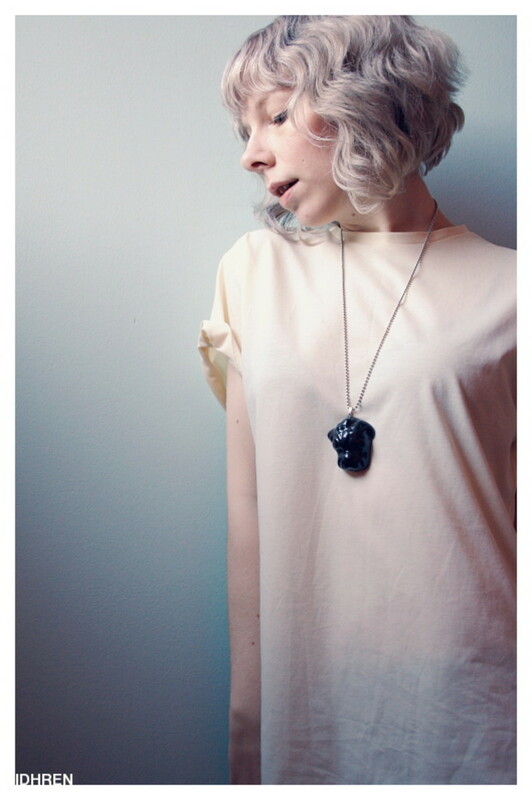 I prefer a less platinum look, so I adjust with the final toner over bleached roots. In this video, you will see how well this product lifts with only a volume 20. Because it's a cream bleach, it does not dry out on the scalp and continues working. There is no need to use volume 30 on roots. When you use higher volumes of developer, the hair tends to look brassy because it lifts too fast instead of going low and slow. Last summer, I decided to try going light again after several years. My natural base is a 5 with a lot of ash. Darker colors at the salon either came out too severe and almost black or too warm. It was time to lighten up. I went blonde slowly. I did a basic soap cap to remove a lot of the built-up color. Over the next few months, I added highlights via the balayage method. 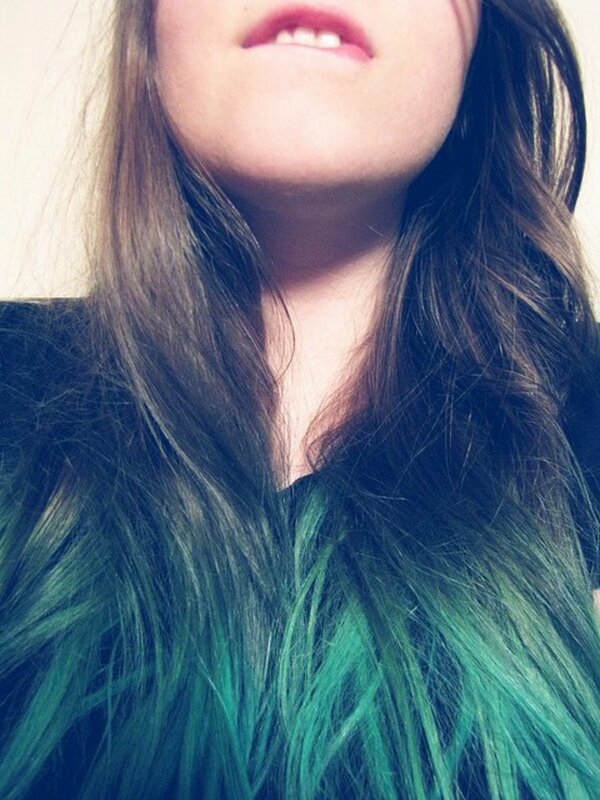 I can do them well on the sides of my hair, but a friend, who is also a colorist, did the back for me. 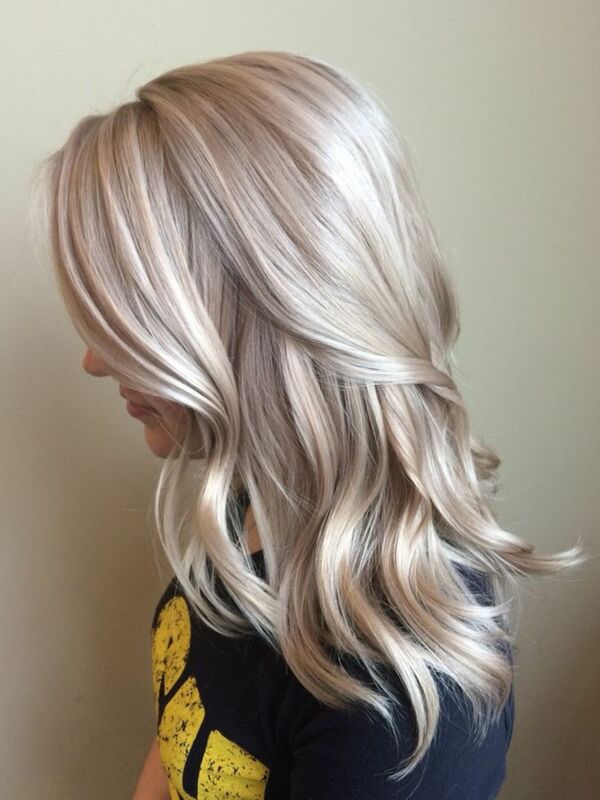 If you want to be an all-over blonde, I suggest slowly building up via the highlight method. Your salon can either do balayage highlights or foil. I like balayage because it looks more natural as it's basically free-hand painting. I did this over a period of several months. From July to October, I gradually built up highlights until I was an all over blonde. I believe in the "low and slow" method concerning bleach and developer. There is no need to use anything over volume 20 on your roots. For balayage, volume 30 is totally fine, but for on-scalp root bleaching, anything over volume 20 will leave you with brassy hair. Think of it this way: A recipe for a cake says to bake it at 300 degrees for 40 minutes. If you decide to speed things up and bake it at 400 degrees for 20 minutes, it gets done on the outside, but the inside still needs time to finish baking. Let bleach and volume 20 developer stay on your scalp for an hour, and you will have a clean lift. Use volume 30 or above for 20-30 minutes, and you will end up with orangey/brassy or too yellow. "Low and slow" lifts cleaner and clearer and is more common in Europe than here in the States. I'm a huge fan of Guy Tang, and I believe he also uses the low and slow method. Many of his clients are there for six to eight hours. Root maintenance is the hardest part about going full blonde. It's very time-consuming doing your roots every four to six weeks, depending on how fast your hair grows. Foil Method: Your colorist will foil every few pieces of hair. This is great for a look that still has some root depth. Full On-Scalp Lightener: This is my preferred method, and it's often called a double process. You are basically covering all of your roots with bleach. Then, you lift the roots and add toner at the end. Trust me, it takes a lot of money and a lot of effort to have hair that appears so effortlessly beautiful. I studied in Paris for a semester during college (university). My classmates and I packed as many black outfits as we could and daydreamed about what life would be like living in such a bustling, artistic, and glamorous city. One of the first things I did after I landed was visit a salon to go blonde. Six hours later, I was blonde, but my hair was too light and looked like a powdered wig. Thinking back, I don't think the colorist used a toner, and, if he did, it wasn't the correct shade. But it didn't matter at the time. I was blonde! Light hair was fun, and it matched my light skin tone better than dark hair. One of my favorite blondes is Carolyn Bessette Kennedy. She was known not only for her impeccable style, but also her long, glossy, buttery locks. She seemed to never show a dark root. Her shade of blonde was more yellowish. I prefer more of a steely shade—not grey, but a good depth of ash with a slight steely shimmer. Another inspiration of mine is Marie-Chantal of Greece. Her hair never looks yellow. It's a beautiful shade of clear blonde ash. 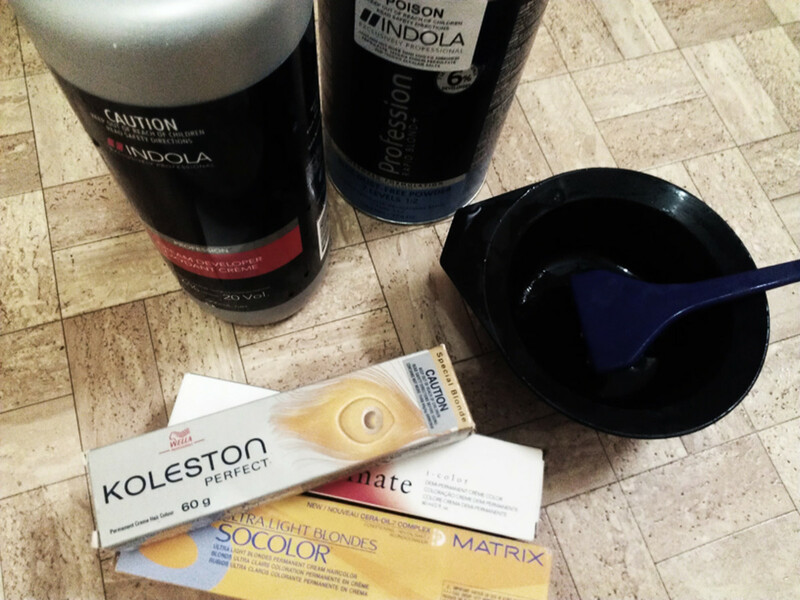 I purchased several on-scalp bleaches because of their top reviews, including Goldwell Silk Lift, Wella Blondor Cream Bleach, and L'Oreal Platinum Plus. These products are not available in drugstores because they are part of the professional line, thus they're difficult very to find and very expensive. Many top salons either don't know about them or don't want to use them because of the expense. I also tried the Joico Creme Lightener. The first on-scalp bleach I used was Goldwell Silk Lift. Even though it's not a cream, the powder is very finely ground. The product was decent, so I stuck with it for about four months. The problem with Silk Lift is that it has a tendency to dry out on the scalp, so it minimizes lift. Even though my lift was nice and not brassy, I felt as though the roots should have lifted at least one more level. This was the next product I tried. I couldn't believe how clean and clear it lifted my roots! I was in love right away. It was such an amazing lift that my roots were platinum. However, the love affair was short. It's touted as one of the best bleaches, and I can see why. The paste is supposedly loaded with nourishing properties for the hair. However, after a few monthly root touch-ups, I noticed some breakage. Yikes! That was the first time in my blonding journey that breakage occurred. I kept the L'Oreal Platinum Plus, however, because it's good to use as an off scalp lightener for balayage. The Blonder feels very gritty on my scalp, and it does not lift as clean as Joico. All of my roots get covered with the Joico Creme Lightener mixed with volume 20. However, for the developer, I use Wella. I find Joico's developer to be too runny. I cannot pull off my high-maintenance blonde color without Joico Creme Lightener and Silk Lift. I alternate between the two now. Sometimes, I'll do my roots with Silk Lift and, then eight weeks later, I'll use Joico. There are not enough words to express how much I love these two on-scalp lighteners. Can I use Joico Creme Lightener with an applicator bottle? I think it's a little thick for that, but you could try. Actually, once you add the developer, it may be a better consistency for the bottle. I just worry it would be too dense to squirt out. Any one tried going from dark brown (almost black) to blonde with joico creme bleach and 10 volume? I saw a video on YouTube, and it turned out great. Any developer that holds bleach will lift to the same color, but it's just a question of time. Low volume can reach the same color as a high volume but much gentler and slower. You can have the bleach in your hair for even up to 5 hours! Slow roasting is the best method. Joico cream is avalible in Europe. I am from Poland and i work with their products. Better result is with Joico developer and even faster. I had highlights years ago. My hairstilist used Lakme bleach but i haven`t had it on the scalp. Yes, I'm licensed. It's the cream lightener for on scalp, not the powder. I don`t know... Are you a hairdresser? You sure that isn't for blonder powder? The powder does lift some yellow sometimes. I loved Platinum Plus at first, but it clung to the scalp and also caused some light breakage :( I've heard of Deco, but can't find it here in the States. Through all of my testing, I've realized some cream lighteners are actually more harsh and can cause more breakage than powder ones. But powder dries out so fast on scalp. I really like Blondor a lot. I mix developers 10 and 20 to make a 15 and use it with Blondor. Joyce is really nice as well. Joyce and Blondor are the best in my opinion. What were some of the not so good reviews? Mostly Loreal Platinium Plus but sometimes Deco Bes Cream. 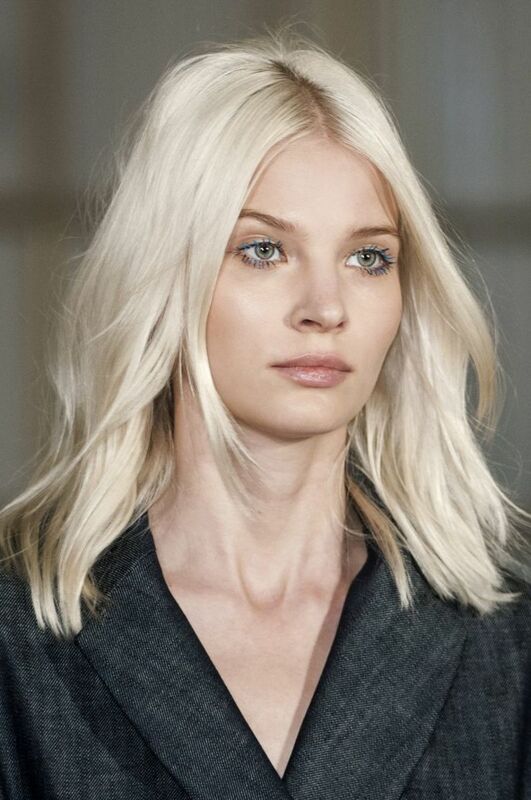 I really want to try Blondor cream. I`ve read very good reviws about it but also some not so good. Do you lighten your roots? If so what do you use? Yes. I've used it several times since writing this article and I LOVE it. I should probably update the article soon because I'm finding that I use blondor more than Joico. And Wella developers are hands-down the best I've come across. Blondor lifts super clean on scalp. Any updates about Blondor Cream?